← Remember last winter? This fall, get SNOWBOUND WITH ZOMBIES! The earliest version of this piece, which involves talking wine glasses (no spoilers beyond that!) was first drafted back in December 2013 as an assignment for the Magical Realism course I was taking at The Eckleburg Workshops. As with all my stories, it spent a great deal of time under the knife. 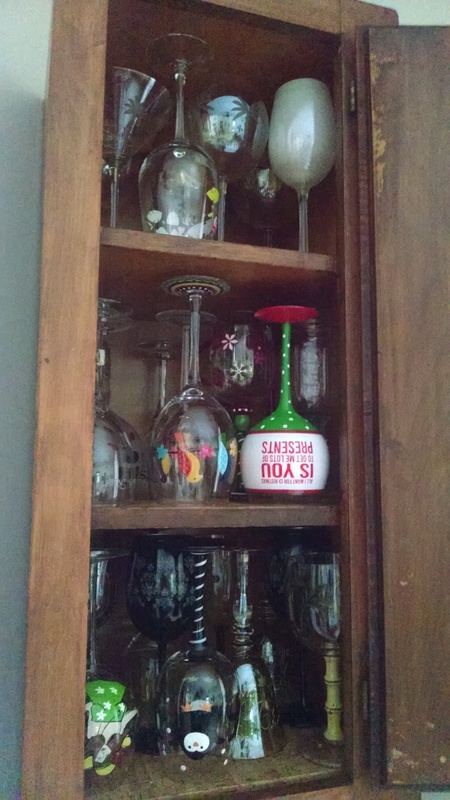 “Our Lips are Sealed” was inspired by my personal wine glass collection. I’ll keep you posted on its availability. 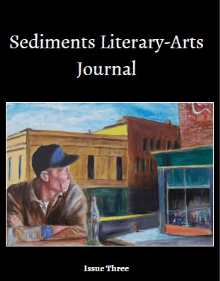 In the meantime, head over to Sediments Literary-Arts Journal and check out some of the other wonderful work they’ve published; I’m excited to be among such great company! And if you’re a writer and are looking for some outside-the-box courses, then definitely explore The Eckleburg Workshops. I can’t wait to go back and take more courses. Posted on August 4, 2015, in News, Short Stories and tagged A Haunting, Ghost Stories, Halloween special issues, magic realism, October ghost story magazine issues, Sediments Literary-Arts Journal, stories like Poe’s, The Eckleburg Workshops. Bookmark the permalink. Leave a comment.